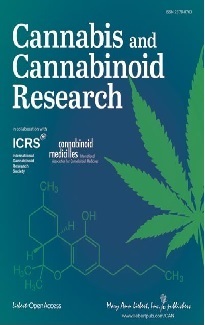 In 2010 a review by Hazekamp and Grotenhermen covered controlled clinical trials of the years 2006-2009 on cannabis-based medicines, which followed the example of the review by Ben Amar (2006). The current review reports on the more recent clinical data available from 2010-2014. A systematic search was per­formed in the scientific database of PubMed, focused on clinical studies that were randomized, (double) blinded, and placebo-controlled. The key words used were: cannabis, marijuana, marihuana, hashish, cannabinoid(s), tetrahydro­cannabinol, THC, CBD, dronabinol, Marinol, nabilone, Cannador, nabiximols and Sativex. For the final selec­tion, only properly controlled clinical trials were retained. Open-label studies were excluded, ex­cept if they were a direct continuation of a study discussed here. Thirty-two controlled studies evaluating the therapeutic effects of cannabinoids were identified. For each clinical trial, the country where the project was held, the number of patients assessed, the type of study and comparisons done, the products and the dosages used, their efficacy and their adverse effects are described. 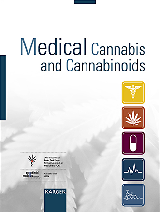 Based on the clinical results, cannabinoids present an interesting therapeutic potential mainly as analgesics in chronic neuropathic pain and spasticity in multiple sclerosis. But a range of other indications also seem promising. CBD (cannabidiol) emerges as another valuable cannabinoid for therapeutic purposes besides THC.